LA ROMANA, Dominican Republic (Jan. 17, 2019) – With the morning wave of players traversing Casa de Campo’s Teeth of the Dog course on a cloudless and still morning, media members were huddled in the media center thinking about the future. For the first time since the Latin America Amateur Championship was born in 2015, the event will head to Mexico in 2020. Mayakoba Golf Resort, which has hosted the PGA Tour’s Mayakoba Golf Classic since 2007, will host. The requirements for the golf course and infrastructure are demanding, but Mayakoba meets those demands. In what will be the tournament’s sixth year, the LAAC’s trip to Mexico will complete its tour of the region. In evaluation the last five years of the LAAC, USGA CEO Mike Davis noted how quickly the event has caught on. “It really is to inspire the game in this region,” Davis said of the tournament’s purpose. Three of the past four LAAC champions have been from Chile. The country has 10 players in the field this week at Casa de Campo, followed closely by Mexico with nine players. 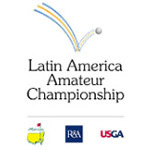 The LAAC winner already earns an exemption into the Masters as well as exemptions into the Amateur Championship conducted by the R&A and the U.S. Amateur Championship (as well as any other USGA amateur event for which he is eligible). In addition to those guaranteed starts, the LAAC champion earns a spot in final qualifying for the Open Championship and sectional qualifying for the U.S. Open. Slumbers issued a challenge to players when asked whether an exemption into the Open Championship might be on the line at this event, down the road. “Make it very hard for us not to give an exemption,” he said, acknowledging a growing and deepening field. As for what it takes to host this championship, it’s more than just the golf course. Understandably, a number of details are taken into consideration. Casa de Campo fits the concept that the three sponsoring organizations – the Masters Tournament, the R&A and the USGA – are looking for, but at the heart of the LAAC is a desire to provide a world-class stage for amateur players in this region. Slumbers pointed out that the opportunity for the game to grow in this region is huge. To achieve that, public facilities and schools must be on board just as much as tournament sponsors are on board when it comes to providing opportunities for the top echelon of players. As Slumbers described, it’s a pyramid.